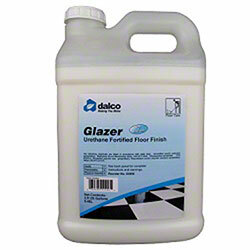 Dalco Glazer Urethane Fortified Floor Finish - 2.5 Gal. Premium floor finish providing superior gloss and durability. Exceptionally versatile, all surface and all maintenance programs. portions © copyright 2019, J&M Technologies, Inc.